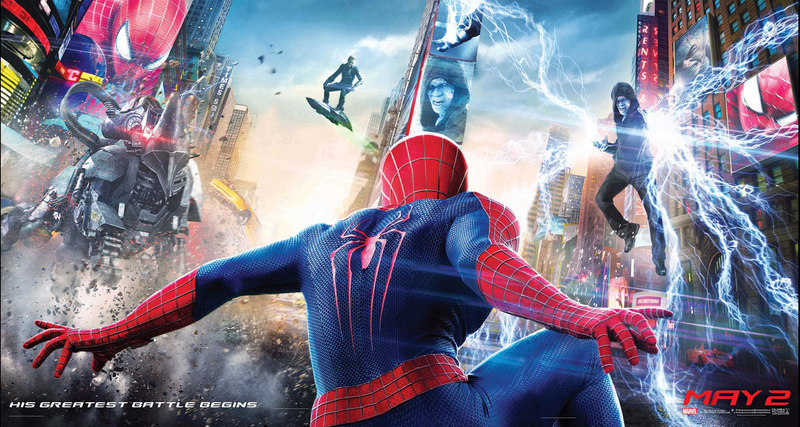 Without actually having seen the it (since that doesn’t seem to be a prerequisite at major news outlets for reviewing a film), Vince and Phil talk about the newest disappointing superhero movie The Amazing Spiderman 2 as they wait for its star, Andrew Garfield, to arrive. Listen in as the guys talk about the art of the movie review and why every Joe Sweatsock erroneously thinks he can do it. Click here to download Episode 17. This entry was posted in Film, Podcasts and tagged alfred molina, andrew garfield, doc oc, doctor octopus, dr. octopus, emma stone, film, film review, film reviews, geek, green goblin, gwen stacey, gwen stacy, harry osborn, interview, itunes, marvel comics, marvel studios, movie review, movie reviews, movies, movies review, nerd, nerding, nerdist, peter parker, podcast, podcasting, review, sam raimi, sinister six, spiderman, superhero, superhero movies, the amazing spiderman, the amazing spiderman 2, the sandman, toby mcguire, venom by threedrinksinpodcast. Bookmark the permalink.